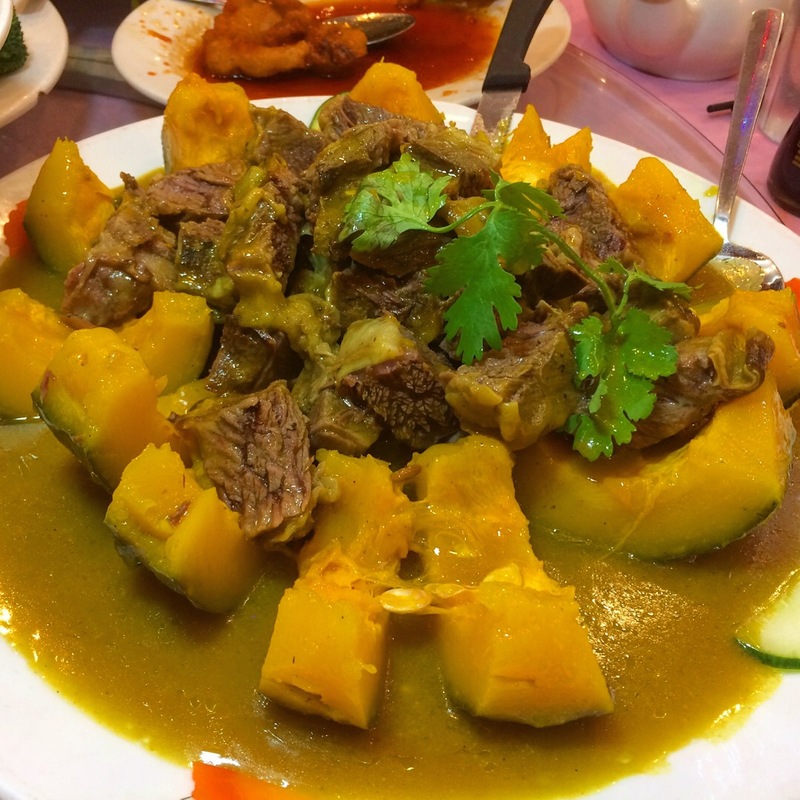 It’s described as a “Top Pick” on the menu at Sing Kee, 42 Bowery in Manhattan’s Chinatown, so we obligingly picked it as one of our Cantonese banquet choices. 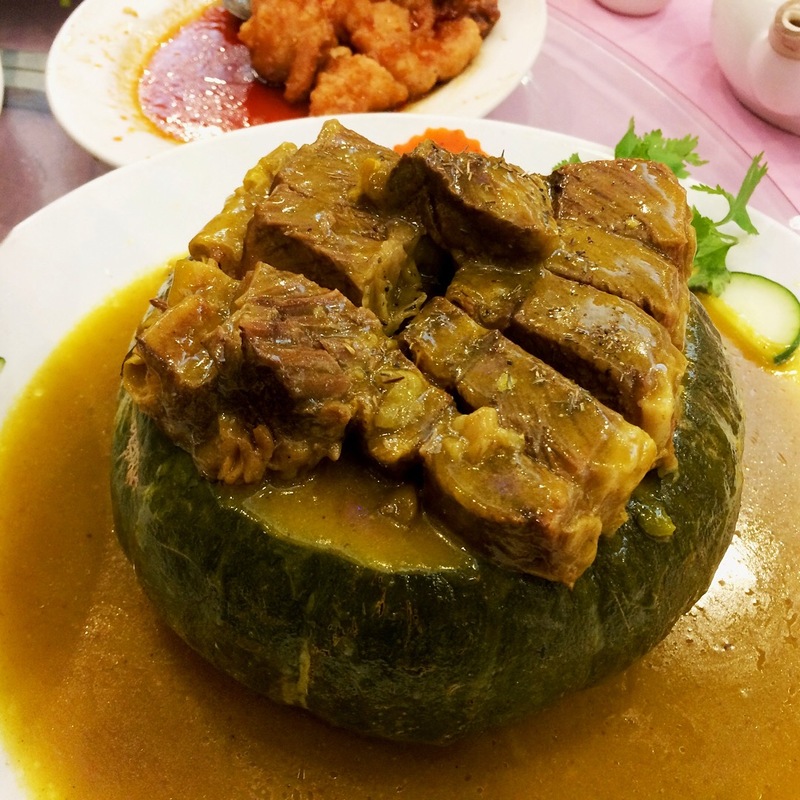 Beef Short Ribs in a Pumpkin was a study in tenderness, both the meat and the squash, lounging in a mild curry gravy. The presentation was appealing as well: sliced into wedges, it fell open, looking like chunky flower petals encircling a beefy nucleus.